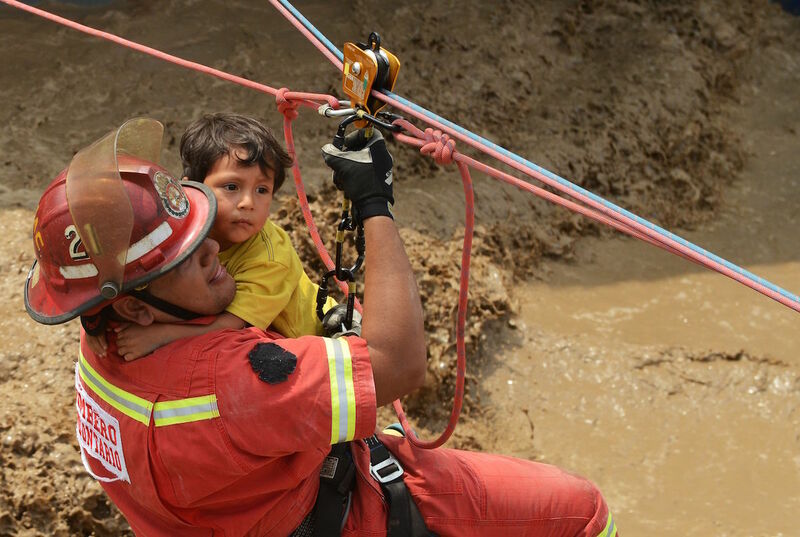 Over the past week, you may have seen videos circulating on social media of flowing mudslides and intense flooding in coastal Peru. The South American country has received its worst flooding in 20 years, one that has resulted in at least 72 deaths and left more than 70,000 people homeless. The floods are a result of torrential rains caused by exceptionally warm water in the Pacific Ocean. “The water is so warm, actually, that Peru climatologists declared a ‘coastal El Niño’ to communicate to the public the kind of conditions they should expect and prepare for,” wrote The Washington Post. The extent of damage El Niño’s climate pattern can do was last seen in 1998, when nearly 400 people were killed during a period of massive rains and flooding. “The U.S. weather agency has put the chances of an El Niño developing in the second half of 2017 at 50-55 percent,” reported Reuters. Peruvian news station RPP Noticias shared aerial shots of the affected areas, mostly in the north, and on-the-ground footage of bridges collapsing and how residents are living in wake of the tragedy. For Peruvians living abroad, the cries of their paisanos were heard and shared through Facebook and other digital spaces. Peruvian embassies in different countries have opened accounts and online fundraising pages to receive donations in a secure manner. Many users online are using #PeruEnEmergencia and #HelpPeru to bring more attention to the natural disaster.